GameStop has suspended its PowerPass program, which offers customers six months of unlimited access to used games. The retail chain told employees yesterday to pull down all signage involving the program and store it in their backrooms, according to two GameStop staff. It’s not clear why GameStop is freezing the program, but employees have speculated to Kotaku that some of the company’s antiquated computers weren’t equipped to handle it. PowerPass, which soft-launched this week, would give participants unlimited access to any used game in a given store for six months. For $60, you’d be able to treat GameStop as a library, taking out one pre-owned game at a time, and after six months, you’d get to keep one. “We have elected to temporarily pause the roll out of the new PowerPass subscription service, based on a few program limitations we have identified. 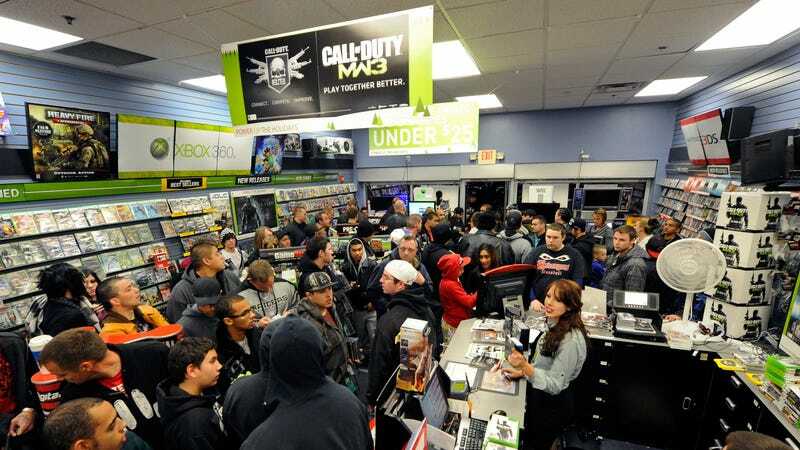 We feel this is the right thing to do for now to ensure we are able to provide our guests an exceptional service,” a GameStop spokesperson told Kotaku. GameStop also asked staff to discard the store’s Holiday Guide and replace this week’s “weekly ad,” according to a source. GameStop has not said when the program will be reinstated.